The City of Southaven has been developing a metropolitan wireless Internet Service Provider. The first areas were serviced by some kind of microwave service (more later). You had to be near one of the city's water towers. Then you had to have a special antenna and modem. A friend of ours had it and its bandwidth was around 512 Kbps. Pretty pitiful. 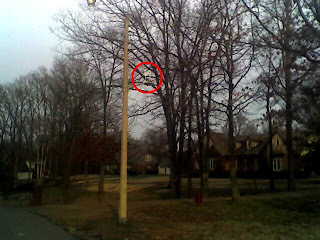 As I rode through my neighborhood recently, I saw this on a street light pole. 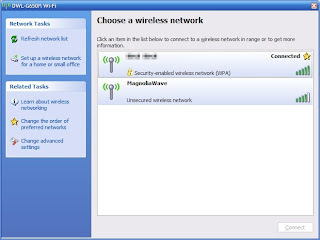 When I got home, I grabbed my laptop and went looking for new wireless networks. Nothing there. So you know what I did. Yep, connected to it. Don't worry. That laptop is running a firewall. 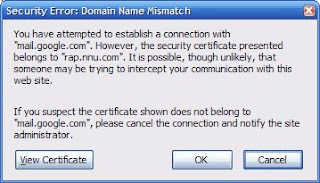 It looks like they're using "NetNearU." 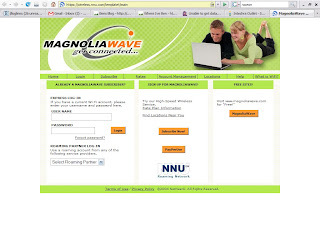 The homepage for MagnoliaWave says their price is $30/month and run at 1 Mbps. They also have daily access at $6.95 per day. They referred to their roaming partners so I hoped they had partnered with AT&T but no luck. From the logos on the homepage it seems like the earlier solution was WaveRider from Vecima. On the way home today I was listening to Security Now. Leo and Steve were answering a question about Windows 2000 and it wandered off to Vista adoption. Steve: ...are we over 50 percent adoption? Leo: I think it's well less than half. That sent me off to go look at my blogs to see what they were seeing. whereiveben.blogspot.com was practically the same distribution. 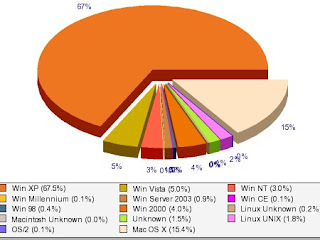 Where are the Windows 2000 users coming from? There are almost as many as Vista users. Are there still that many businesses running Windows 2000? All their employees must be reading my blogs! It's kinda surprising that after more than a year, the adoption of Vista is still single digits percentage and less than 1/10th of XP. I blogged about this 2 years ago. Go here and see what it looked like then. Maxthon has been my browser of choice for a couple of years. Recently I saw someone at work using Maxthon 2 so I thought I'd try it. It had a couple of things that I wanted. The Address bar field has a yellow background when you're running SSL and a green background when the site has a valid EV certificate. F10 will give you a side-by-side presentation. That's cool. 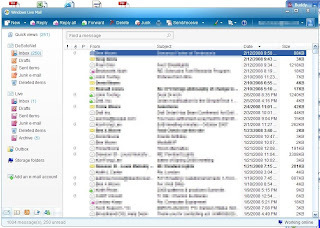 The Back and Forward buttons no longer have a drop-down menu. They've added a new History Track button that "combines" this function. That's a great alternative but don't take away my drop-downs! There is a post in the Maxthon 2 forums about this. I was wondering if it is possible yet to use the original back and forward buttons. I really dislike the catch all button that was implemented in M2 and would like to have the drop down list integrated with the button as before. It's cleaner and faster. Maxthon has a nice feature similar to Windows Explorer in that you can "go up" one level in the current URL. In Maxthon 2, this button has the words "Go Up" next to it and can't be configured. Gimme a break. I know what that icon represents. I want my real estate back. 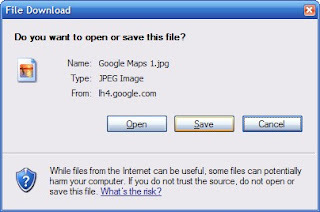 In Maxthon 1, I had the options set so that if you double-clicked on a blank space on the tab bar, it had a mini-script of "File -> New Tab -> Home" and left the Address Bar field with focus. You could just start typing! In Maxthon 2, "Double Click on Tab Bar" can give you "Homepage." The Address Bar field doesn't have focus. A moderator of the Maxthon 2 forums said "The 'new tab' is not configurable at the moment." That was in September 2007. Apparently there hasn't been much progress since then. There are other differences with tabs. One user asked "Is there a way to make the tabs use in ver 2.x behave like ver 1.x in Maxthon...?" When the moderator responded with some threads that stated "it's not implemented" the poster noted that those posts didn't resolve the issue but thanked the moderator. A "Core User" flamed the poster and suggested that the poster "ought to apologize." This information was also already available on the forum, so I suggest reading through the FAQ's and make searches for further questions. ...if you are going to further admonish me I don't need the answer. I just updated to Maxthon 2 and generally speaking am very happy. The only problem is ... you seem to have dismantled the quick search options. ... am I missing something? Maxthon 2 (2.0.8.1720 UNICODE) has crashed twice while I've been researching this post. I think we ought to give Maxthon 2 a little lot more time.